This will be one of the most useful tools you'll ever purchase for model building. 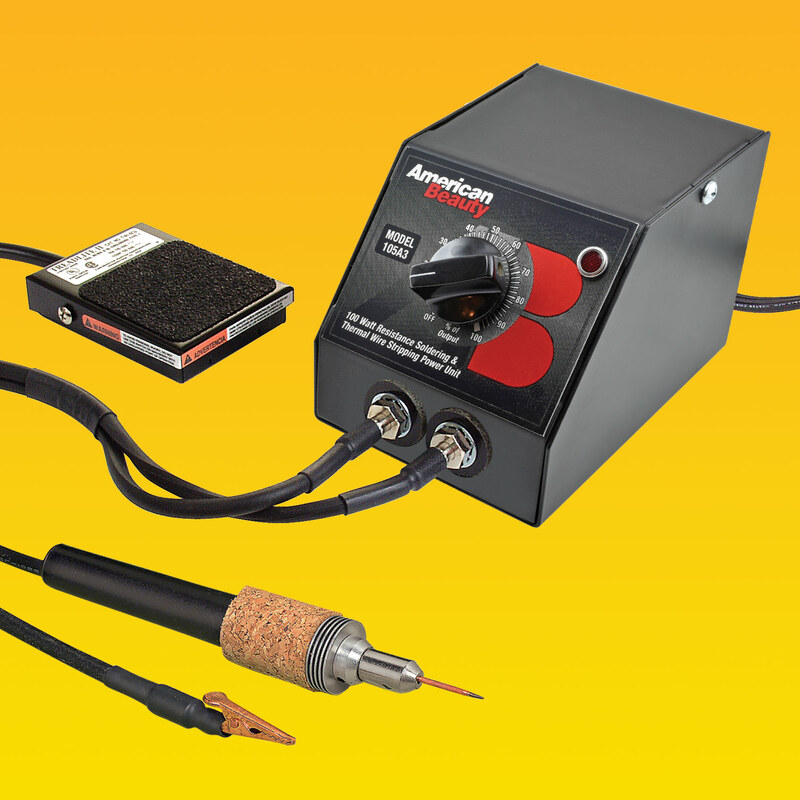 It will save you countless hours and make soldering a far less tedious and difficult task. How it works: Just hold the electrode to the part to be soldered and depress the foot switch. The power supply passes a safe low voltage, high amperage electrical current through the part, instantly heating it to soldering temperatures. Apply solder, then release the foot switch. The bond is complete -- in just seconds! The heat is generated only in the workpiece, so other pieces you've already soldered won't fall off. And since you dial-in the amount of heat you need at the power supply, you can solder everything from the tiniest etched parts to heavy castings. A resistance soldering unit concentrates heat at the joint, so it will heat larger work than will a conventional soldering iron of the same power. Use for soldering power feeds to model railroad track (the fast, pinpoint concentration of heat won't melt nearby plastic ties), brass trestle construction, turnout fabrication, rail joining, brass scratch-built items, ship model railings, fittings and more. Works on any material that can be soldered. American Beauty brand made in the USA to heavy-duty industrial standards. Order your high-performance resistance soldering outfit today for the fastest, easiest, cleanest solder joints you've ever seen. Complete Resistance Soldering Outfit includes 100W, 120v AC power supply, single electrode handpiece, clip lead, and foot switch. A 220v AC version is also available. See #85075B below.